Two babies hatched out of four eggs at first. They don't have eyes yet, but they have big mouth and wanted to be fed. Momma and papa are taking turns to feed every couple of hours. A third baby hatched, and there is still one more egg. I am not sure what will happen to it. 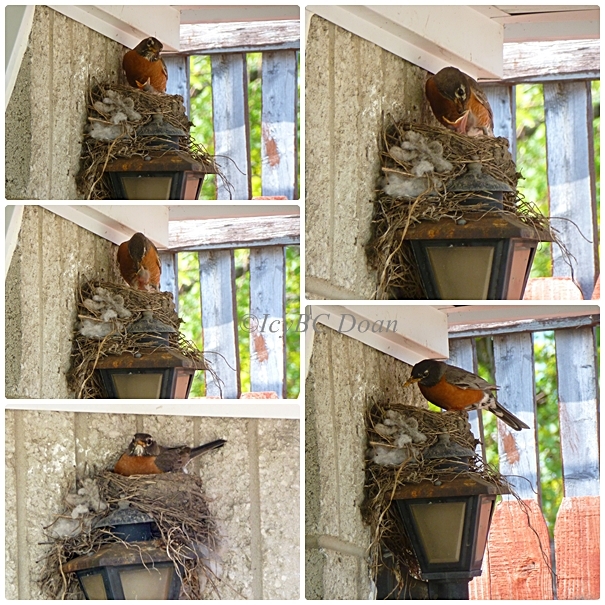 Since this nest was at my house, I was able to watch the activities at the nest more. This nest was at my mom's house. She also has four eggs, but I have no way to know how many eggs have hatched. This momma robin is much meaner than the one at my house. She didn't even want me near by. So babies oh babies we have around here. Happy weekend! WOW, how wonderful to see and photograph this amazing event. Superb photos! WOW! how wonderful to be able to see these tiny babies. the parents are working so hard. great post. Have a wonderful weekend. 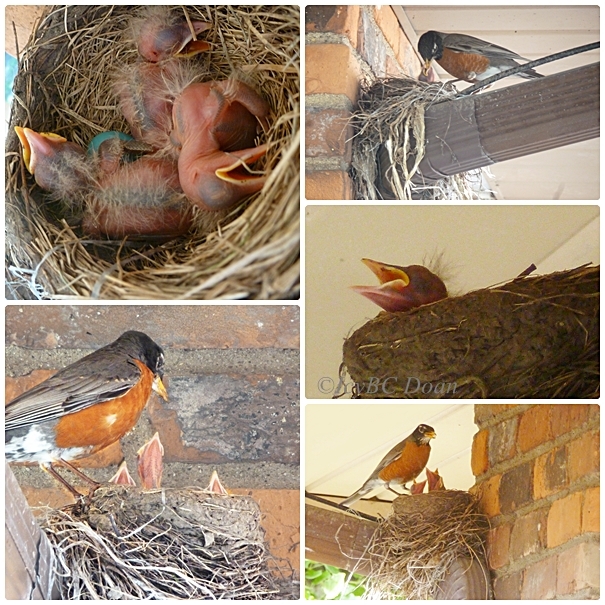 Robins are such a treat to watch grow. Great series of photos ! 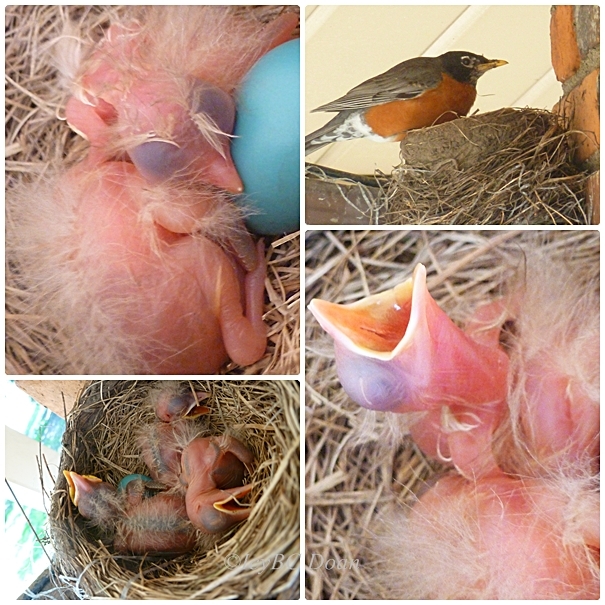 I love it when nests are made close enough to be able to easily see all the progress. The baby shots are really wonderful.. So cute! Thank you for sharing your post on Saturday's Critters.. Have a happy day!